David Lester sails this boat in Puget Sound near his home in Fox Island, WA. 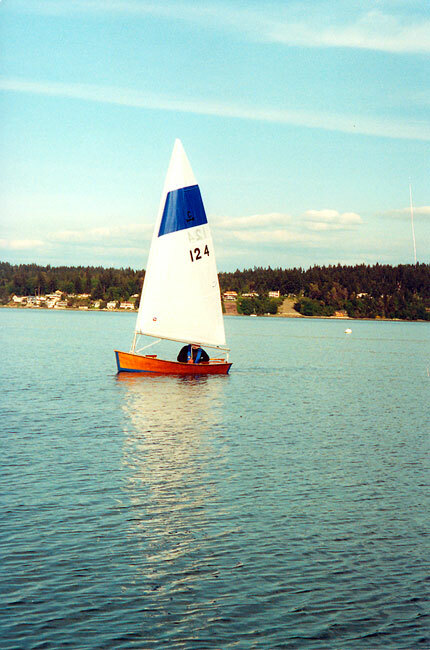 She is a Clancy class sailing dinghy designed by J. D. Brown and Bob Pickett of Anacortes, WA. David constructed her of 1/4" okoume plywood using the stitch-and-glue method. She has a 9'9" LOA with a beam of 4'. David launched her on May 11, 2001.